This Valentine's Day, discover true romance at the dinner table! Shaw's Crab House in Schaumburg is ready to treat couples to all of their favorite seafood classics all weekend long. On Saturday, February 14, 2015, lovers are invited to indulge in the restaurant's Grand Crab Buffet from 4:00 p.m. to 9:00 p.m. in the upstairs dining room. Experience a new definition of decadence with the spectacular spread of Alaskan King Crab, Dungeness, snow crab, and hot sides like hand-carved beef tenderloin, lobster & brie pasta, and au gratin potatoes. After heating things up, cool down with a cold seafood and salad bar including maki rolls, oysters on the half shell, and cocktail shrimp. End the meal on a sweet note with delicious temptations like cupcakes, crème brûlée, and chocolate-covered strawberries. The buffet costs $69 per person, not inclusive of tax and tip. Guests after a fun and casual lunch or dinner can wine and dine in the always-hopping Oyster Bar from 11:30 a.m. to 11:00 p.m on Valentine's Day. Those diners who favor the traditional Shaw's experience can enjoy a meal in the Main Dining Room, which will be open for Valentine's lunch from 11:30 a.m. to 2:00 p.m. and dinner from 4:00 p.m. to 11:00 p.m. Both rooms will also feature Shaw's regular a la carte menus. Reservations are recommended and can be made by calling 847.517.2722. Wake up with your sweetie on Sunday, February 15, 2015 and continue the romance! Shaw's will host a Cupid's Sunday Brunch in their Main Dining Room with reservations from 9:00 a.m. to 2:00 p.m. Guests can sip mimosas and bloodies and enjoy the best brunch in town for just $52 per guest (tax and gratuity not included); kids 12 and under eat for free (limit 2 kids per adult). The Valentine's buffet features a hot buffet line brimming with classic breakfast fare, plus Shaw's specialties, a make-your-own-omelet and waffle station with more than a dozen ingredients, a surf-n-turf station, a cold seafood bar, and salads galore. Meanwhile, a sweets table tempts with bite-sized portions of Shaw's favorites, from crème brûlée and raspberry tartlets to key lime pie, pecan tarts, fresh fruit, chocolate covered strawberries, special cupcakes, and a chocolate fountain! Plus, each sweetheart will receive a valentine with a surprise from Shaw's to use at your next visit. Call 847.517.2722 for reservations. Shaw's Crab House, a Lettuce Entertain You restaurant, features a 1940s-style take on the seafood dining experience, with retro leather banquets, polished wood floors, and Art Deco touches. 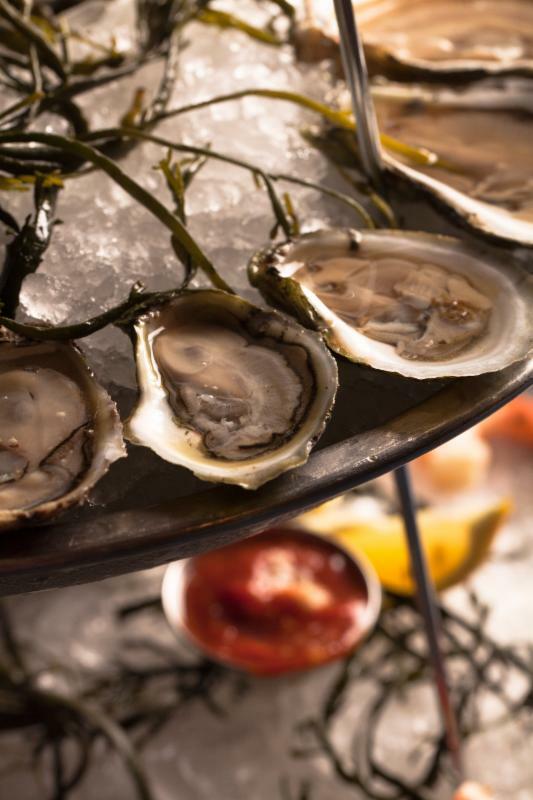 The Oyster Bar provides a more casual setting for diners and serves up live music five nights a week at the Chicago location. Shaw's- The King of Crab! For more info, call 312.527.2722 (Chicago) or 847.517.2722 (Schaumburg), visit the website at www.shawscrabhouse.com, tweet with The Shaw's Mermaid at www.twitter.com/shellyfromshaws,or keep up on Facebook at www.facebook.com/shawcrabhouse and www.facebook.com/ShawsCrabHouseSchaumburg. H & M TO OPEN NEW LOCATION At SOUTHLAKE MALL! H & M, Hennes & Mauritz AB (H&M), is excited to announce the opening of a location at Southlake Mall in Merrillville, Indiana. Opening on Thursday, February 12th at noon, H&M at Southlake Mall will add to the current five locations in the state and give customers there even more access to the latest trends at the best prices. The approximately 23,000 square foot H&M at Southlake Mall will offer collections for ladies, men, young ladies and young men, with separate “store within store” sections for accessories, lingerie, maternity, sports apparel and its plus-size line, H&M+. This location will also carry the Swedish retailer’s fantastic children’s collection, which features quality clothing for kids of all ages, from newborn to fourteen years. H&M supports local economies by adding jobs with each new location they open. As a rapidly expanding brand, H&M is always looking for new talent to grow with the company and take on new challenges. The retailer is proud to have added approximately 15,000 employees in the US. H&M is the first fashion company to roll out a global garment recycling program. Through this initiative, H&M customers at Southlake Mall can help save natural resources and contribute to a reduced environmental impact by donating old and unwanted pieces of clothing from any brand while in the store. Customers will receive a voucher for 15% off their entire next purchase for each bag of donated clothing. H & M, Hennes & Mauritz AB (H&M), one of the world’s largest retailers known for offering fashion-forward apparel and quality basics, was the largest user of organic cotton in the world in 2013. H&M is committed to using only organic or better cotton in all of its collections by 2020. The store at Southlake Mall will offer the best of sustainable fashion through its spring 2015 collection. In celebration of opening day, H&M at Southlake Mall will offer the first 100 shoppers in line an H&M t-shirt and Access to Fashion Pass, valued from $10 to $300, in addition to other fantastic opening offers for the whole family! NowItCounts | NiC Magazine, the new destination for Americans 50+, is the go-to source for adults to read about their favorite celebrities in exclusive interviews, learn about must-go travel destinations, discover the best in food and drink, receive expert beauty and financial advice and devour provocative entertainment features. From a ranking of the top 20 sports stars to best reasons to get a reverse mortgage, the February/March issue of NiC Magazine covers the must-know trends and news topics especially relevant to this vibrant audience. - After a mind-blowing, historic career that spans more than six decades, how does Barbra Streisand still end up on top? Editor in Chief Richard Pérez-Feria explains why. Cover image (pictured) credit: Craig D. Simpson / Streisand: In The Camera Eye, ABRAMS. - From his decades-long perch at Vanity Fair to his current role as editor of FourTwoNine, this famous chronicler of the famous is worth getting to know. Pérez-Feria interviewed his close friend in an intimate Q&A that includes mention of that infamous POZ article about Ty Goldwater (Ross) that proved to be so pivotal for both of their careers. - Debating who’s the greatest at any sport is a tradition as old as time itself. Willie Mays or Mickey Mantle? Michael Jordan or LeBron James? Chris Evert or Martina Navratilova? Muhammad Ali or Joe Frazier? To help clear up some of the confusion, NiC Magazine ranks the 20 greatest American athletes who are now 50+. - Winter doesn’t have to be staid or sluggish. Beauty + Grooming Editor Marco Medrano has the top products and advice to help gentlemen become boys, stylishly, of course. - When President Obama announced the momentous change to end the half-century US/Cuba standoff, the reverberations came fast and cut deep. Editor in Chief Richard Pérez-Feria, was born in Boston to trailblazing Cuban parents who fled the atrocities Fidel Castro inflicted on their homeland. Pérez-Feria heart-wrenching personal essay and hopes for the future is a must read. - Whether you’re a newbie wine connoisseur or an aficionado looking for new places to explore, Entertainment + Travel Editor Abby Tegnelia has all the details on scenic downtown Napa to off-the-beaten sections of Sonoma, to the wineries of Livermore to help you decide which place is best for you. - Why are you still hesitant to pull the trigger on a reverse mortgage that will only benefit you in undeniable ways? Senior Editor Buck Wargo is here to help by providing the top 5 reasons to get a reverse mortgage right now. - Winter is the best time to peel and reveal and science has allowed us to skin-rewind topically, gradually and without down time. Beauty + Grooming Editor Marco Medrano provides the best products to use for the never ending, anti-aging battle. ; like us on Facebook or visit our YouTube channel for exclusive videos.